If you are leaving a marriage that is full of conflict, that conflict will follow you into your post-divorce life. Divorce does not put an end to the crazy that went on during the marriage. 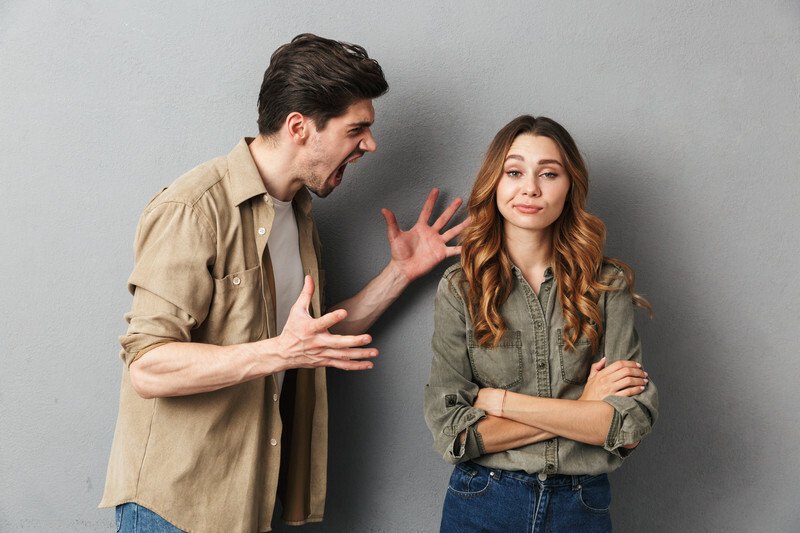 You may no longer live in the same home but you can bet, if you were married to someone with anger management issues, you will continue to be the recipient of their anger after the divorce is final. In some cases divorce can exacerbate the anger so for your sake it pays to have a plan for dealing with the conflict to come. Even if you are lucky enough to have a civil relationship with your ex, there will be times when you don’t see eye to eye on issues such as child visitation, holiday schedules and such. Arming yourself with coping skills to use during periods of conflict is essential for those of you who have children and will be attempting to co-parent with your ex. 1. Try and respect your ex-spouse and his/her household. Find ways of being respectful rather than resentful. Do not personally criticize them, but don’t make excuses for their behavior either. 2. Live by the divorce agreement reached between the two of you or, handed down by a Judge that addressed financial arrangements such as child support, spousal support or division of property. Do not let your attitude towards it, after the fact; taint your relationship with your ex or your children. If you came to an agreement with your ex, live up to that agreement. If you have a court order, follow that order. No amount of anger over financial issues is worth contaminating your relationship with your ex or your children. 3. Hurt feelings from the past are the number one reason you and your ex engage in conflict with one another. Do your part by in keeping down conflict by letting go of the past and living in the present. 4. The two of you can make your children’s best interest common ground. If you are both focused on doing what is best for the children, there is less room for conflict. The bottom line, your children and their needs are more important than any anger either of you has toward the other. 5. Try seeing stressful situations from your ex’s perspective. Every situation will require some give and take and it is easier to give a little if you can view the situation from the other person’s point of view. 6. Always put your children’s needs before your own. You may not like your ex, may not want to be around him/her BUT your children love both parents and it fills their hearts to see each parent get along with the other. Parents who manage to put their children’s needs first during and after divorce help minimize the negative effects of their divorce on the children. Effort on your part to build a new and productive relationship with your ex will help all involved in the healing process and move forward with their lives. If your effort is thwarted you should accept the reality of the situation…you do not have an ex that is interested in anything other than being angry. Move on, cut ties, do not engage when your buttons are pushed and send him/her a clear and loud message…if you can’t behave reasonably, I will have nothing to do with you. The post 6 Tips To Help Deal With Post-Divorce Conflict appeared first on Divorced Moms.